Friends have told me that they’ve already had snow and that it’s bitter cold in Ottawa, Canada (where I grew up) but here in Israel the weather is fantastic, sunny and in the 70s. It’s great weather to go hiking and yesterday I hiked Nahal Zohar. Since it is at the southern end of the Dead Sea it takes longer to drive there from Jerusalem, about 2 hours, than the hike I posted 2 weeks ago, starting at Qumran. The hike took us 5 hours at a leisurely pace including a stop for lunch. The hike can be walked in either direction – this time we did it from the lookout on the Sodom-Arava Road to the Dead Sea, you come out of the wadi near the hotels at Ein Boqeq. Nahal Zohar was used as early as Israelite times 7th C BCE and during Roman-Byzantine times as a way to carry products from the Dead Sea: salt, asphalt, afarsimon perfume and dates to ports on the Mediterranean coast, Gaza and Ashkelon. In order to safeguard the way and collect the appropriate custom taxes there were forts, the remains of which can be seen today. 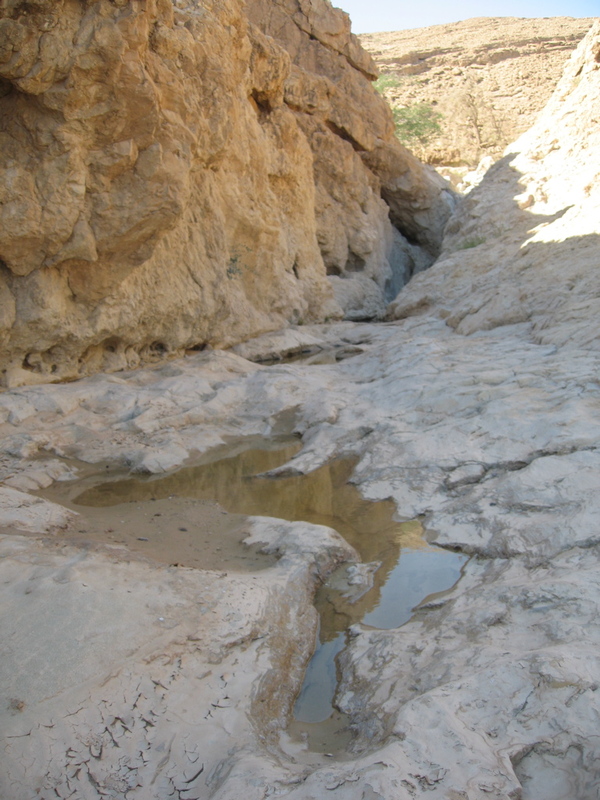 From Nahal Zohar we switched into Nahal Yizrakh and then Nahal Rom, the last part of the hike through a very lovely canyon with Acacia trees and pools of water. 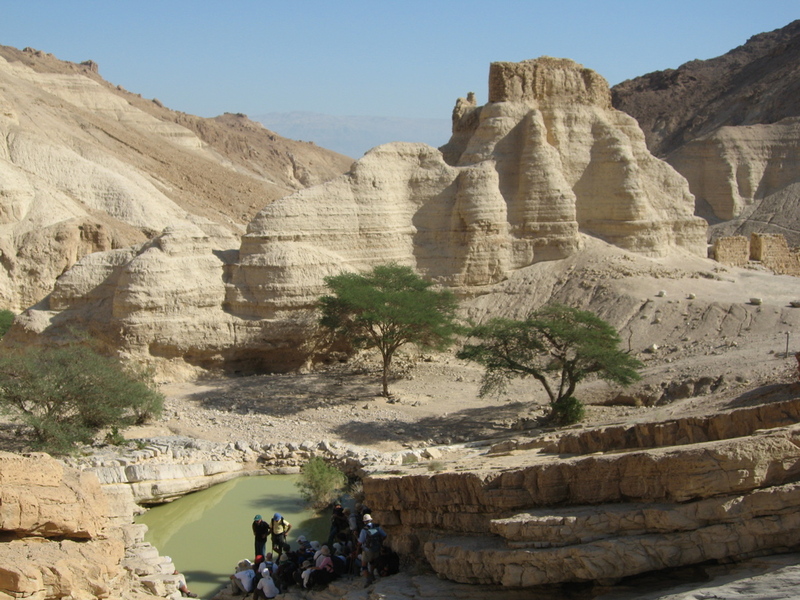 This entry was posted in Hiking, Nature and tagged Dead Sea, hike on November 26, 2008 by Shmuel Browns.